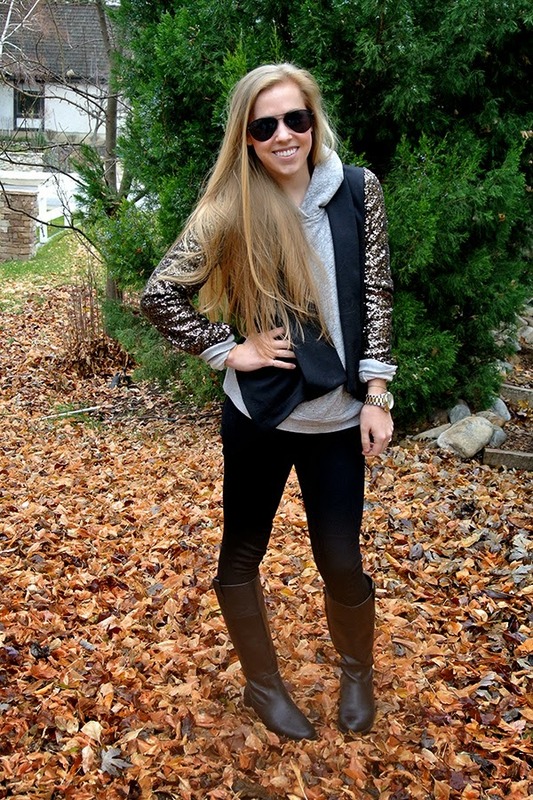 Love mixing fun statement pieces (sequin blazer) with laid back comfy pieces (sweatshirt). Add in black and grey and it is a perfect combo. Happy cooking and shopping - at least that is what I am up to today! 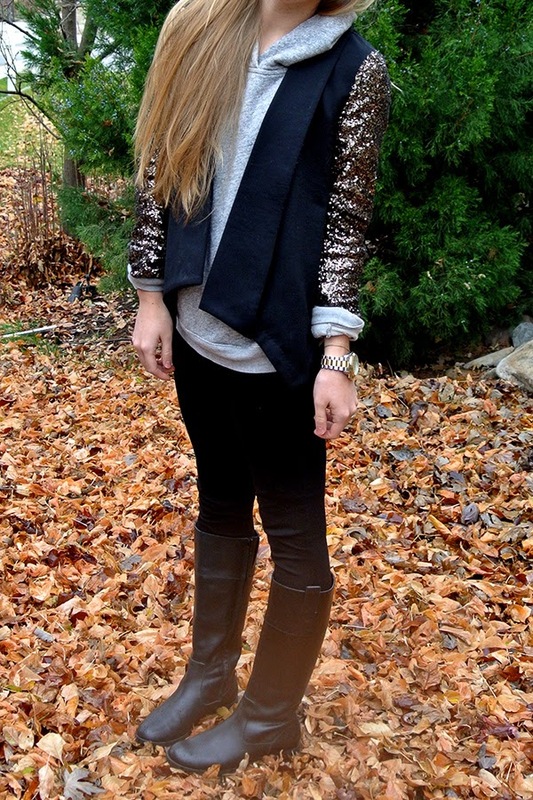 The sequin sleeves are so fabulous!